Secrets and Lies, the highly anticipated new murder mystery drama, premieres SUNDAY, MARCH 1 9|8c on ABC. Here's a first look at the poster for the gripping new drama. Academy Award® nominee Juliette Lewis stars as Detective Andrea Cornell, the top homicide detective determined to catch 5-year-old Tom Murphy’s killer. Ryan Phillippe makes his TV return as Ben Crawford, Tom’s neighbor and Detective Cornell’s main suspect in the murder after he discovers the boy’s body in the woods. The case unfolds from Ben’s perspective, whether he is guilty or not. No one is above suspicion. 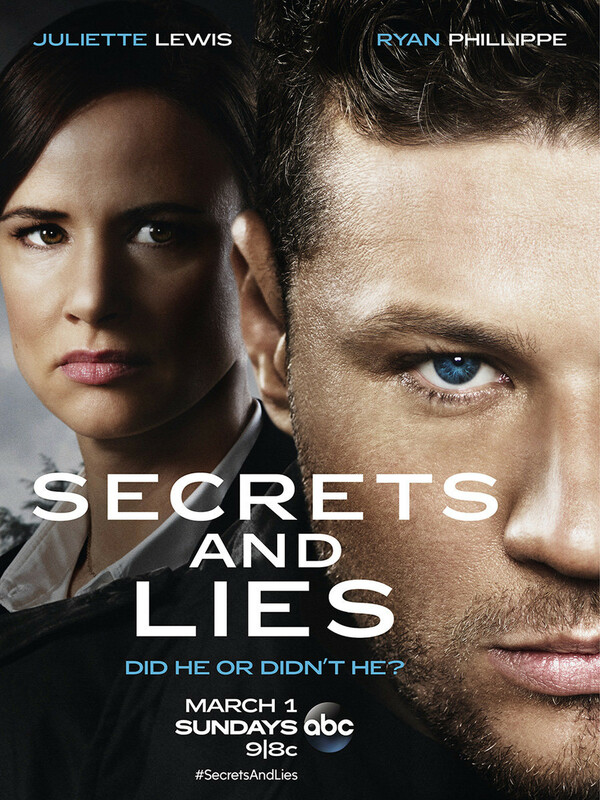 Tune in SUNDAY MARCH 1 9|8c for the series premiere of Secrets and Lies.